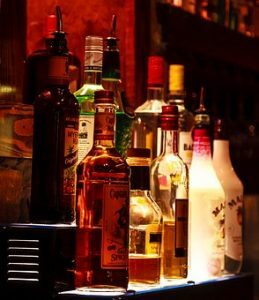 When you purchase a liquor license in New Jersey, as a Buyer you must be approved by the State of New Jersey Alcoholic Beverage Commission and the Municipality where the business operates. This process is detailed and time consuming. it must be started as soon as possible by the Buyer. You will need to obtain a Person to Person Transfer of the liquor license. Unless and until the municipality issues a resolution approving of the transfer of the liquor license, the current license holder must operate the business. g) Not be a law enforcement officer or any other person whose powers and duties include the enforcement of the New Jersey Alcoholic Beverage Control laws or regulations, or holds an interest in nor is an officer in a for-profit corporation in which any peace or police officer has a direct or indirect interest. After the required documentation has been submitted and reviewed, the municipality will schedule a hearing where the applicants are required to appear before the board or governing body. The municipality cannot approve a person to person transfer unless it approves by resolution that the submitted application is complete in all respects. Then, if satisfied, the municipal issuing authority will issue a Resolution of Transfer. This Resolution cannot be contingent upon some other event occurring, and once a Resolution is issued, it cannot be rescinded. When the municipality schedules the hearing, the applicant must publish a public notice in a local newspaper which states the name of the transferee, the address of premises, the type of license, the license number, and the name of the transferor. In order to ensure that the public notice meets the municipalities exact requirements, the applicant should inquire of the municipality where the notice should be published and if the municipality has any additional requirements for the public notice of the specific license being transferred. Upon approval of the transfer, the municipal clerk must endorse the existing license on its face stating the date of the transfer, the name of the transferee and the address where the license will be used. The endorsed license must be displayed at the premises. If you are selling or purchasing a liquor license, or a business which holds a liquor license, call (973) 890-0004 or e-mail is for knowledgeable representation and assistance in navigating this complex process.